Choosing your computer service partner should be simple. That's why we've made it easy for you to see that we are serious about providing you with the absolute best computer service that money can buy. We Are Honest (TO A FAULT!) - We always make it a point to be very upfront and honest with all of our clients. We will NEVER tell you to purchase something that you don't need. In fact, we have even talked some clients out of making purchases from us that were not in their best interest. We always make it a point to get your computer back to you as quickly as possible. We clean your computer (inside and out) as part of every service we perform. Many other repair shops either need to ship laptops out for repair, or they tell you the laptop isn't repairable and you need to buy a new one. We can help you right here in our local shop! Check out what our clients have to say about us on our testimonials! Our stance is simple: You, our client, are the most important asset to our business! We go all out to ensure that our computer service is among the absolute best in the business. 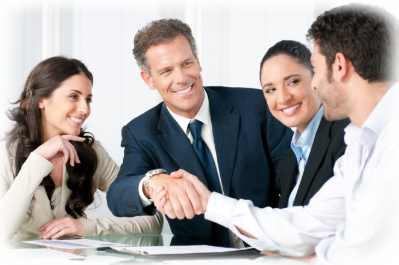 Many believe that the greatest cost in running a successful business is acquiring new clients. That's why you will be treated like gold by our staff once we have you on board as one of our clients. We want you to be our client for life, so we will always take care of you in a prompt, friendly and helpful manner. If you aren't thrilled with our work, we'll do it over for free. We stand behind our work - period. Our techs are not only knowledgeable, but are very helpful and friendly as well. This means that we can handle the toughest repair jobs for you in a way that delivers personalized attention to your situation. Our hourly rate is lower than most shops in the area and our work is the best to keep your computer in tip-top shape. As you can see, we have your best interests at heart and we have a real eagerness and desire to help you. Contact us today, and let's go to work! I want to thank you for your constant courtesy to me. You have a first class business which is quite unusual in the computer biz. You can be sure I will spread the word to my friends. Your staff is indeed first rate also. Thanks again"
"...I am very delighted with the way Shane has worked out. Shane is very knowledgeable and patient with all the staff. He answers all the questions that we have. l Loved It"
"I just wanted to take a minute to say thanks for the work you did on our computer system. As you know, computers are basically a mystery to me so, it follows that the cost to fix things are a bigger mystery. Your common language explanation of what needed to be done and your up front pricing made for a refreshing experience. Thanks so much"
"PC Electronics takes an enormous worry off my shoulders by being my on-call IT department. As a small business owner, it is not prudent for me to hire IT staff, however I do have important computer related issues that need resolved. Their staff is honest and patient, and they always look for the solution that is economical and efficient"
"I have so appreciated your help and service in selecting and using my new computer. Your knowledge, efficiency, accuracy, availability, and ability to explain things in a way that I, a "home computer learner," can understand has far exceeded any past experience I have had. I WILL HIGHLY RECOMMEND YOUR SERVICES." "What a pleasure working with you. I think this comes so easy for you that you do not realize how really really good you are. Thank you so much. You have such a way about you that I found working with you to be most enjoyable. You turned something I was dreading into something pleasant." "I just wanted to tell you how pleased we were with the friendliness of Todd when we first called to see if you could help us with our home computer problems. I had bought my wife a computer a year ago at Christmas, and had nothing but problems trying to get on the Internet to check emails and other things. We spent some $150.00, and several trips to a computer shop, and still could never use the wireless router, let alone get to our email. When I saw your ad stating if you couldn't fix the problem then we would pay nothing, how could I not call you with a deal like that!"